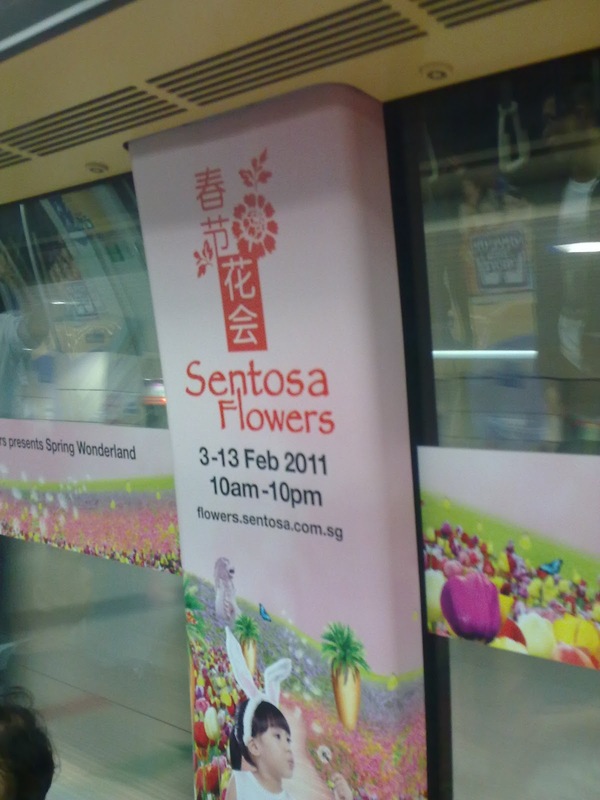 I was inside the MRT when an ad of Sentosa caught my eye. It was beautifully designed in pink and was attractive. Then, I first read the Sentosa word and next was flowers. Flowers are my all time favorite, but the irony here is I'm a 100% man. I hope some guys will support me with this! The reason for this is, I like the way it blossoms with colors since I was at young age. So I took the picture of the ad to let you know about the event. 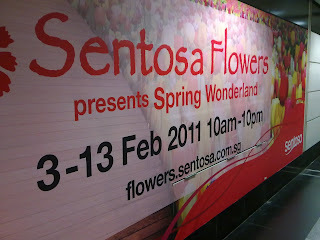 Anyway, enough of that old schools...If you happen to be at Singapore and the date is February 3 - 13, 2011. 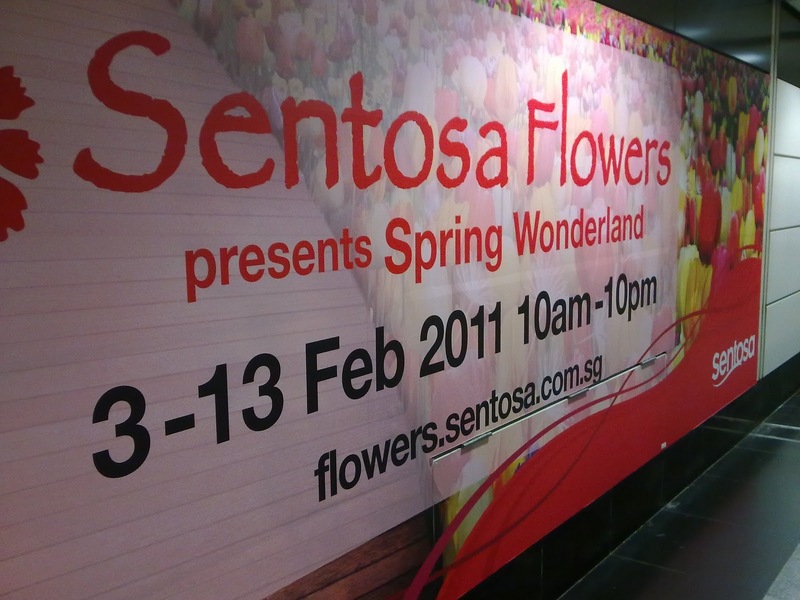 You're lucky enough to see the beautiful flowers of Sentosa. You can see their ads...Nicely made.